Leading mobile company Cheetah Mobile and China-based AI firm OrionStar have jointly introduced a robotics and smart device platform dubbed Orion OS. In addition, the partnership included the unveiling of five new products. All of this happened at the 321 Conference: A Night of Robots, held at the Beijing National Aquatics Center (AKA Water Cube). Cheetah Voicepod, an AI-based smart speaker featuring precise voice recognition, voiceprint technology, superior sound and content from top providers such as Tencent’s QQ Music and Ximalaya.com, designed to compete with China’s rising AI speaker players, including Baidu’s DuerOS-powered Raven H speaker, Tmall’s Genie, and JD’s DingDong. Cheetah GreetBot, a full-sized receptionist robot designed to interact with visitors/customers and guide them to their destinations, which is cheaper than most competitive products and rentable for approximately $475 USD a month with an 18-month contract. To combat the notion that receptionist robots are largely gimmicks, Cheetah has fitted out the GreetBot with speech recognition, a face and body recognition camera, and a navigation system. Cheetah FriendBot, a mobile companion robot for children with educational and entertainment features that will warn parents if the child is playing with dangerous objects like scissors, and capture photographs of their offspring while they’re away. Cheetah Café, a robotic barista featuring two fully independent robotic arms. The robotics partnership with Cheetah and OrionStar is just one of many the former unveiled at the 321 Conference. SOHO China’s Chairman, Pan Shiyi, unveiled a partnership with Cheetah to include its robots in its SOHO Q3 shared office spaces. 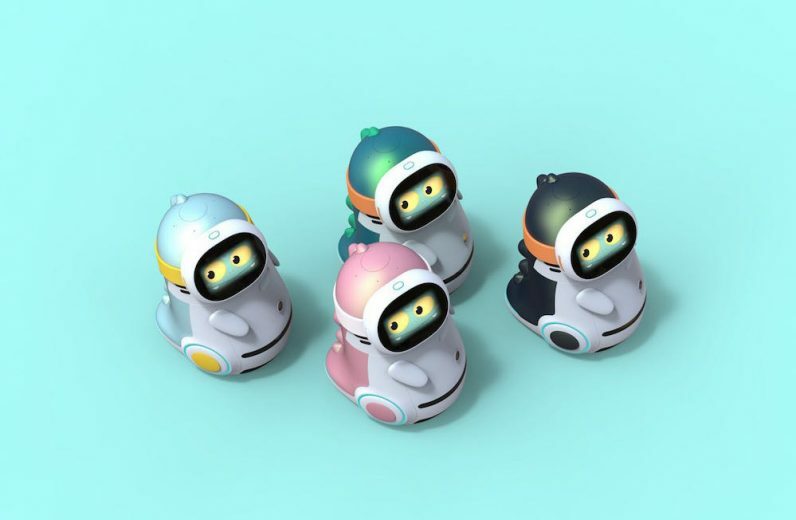 The co-founder and vice-president of Xiaomi, Wang Chuan, announced a partnership to equip Xiaomi’s retail stores with Cheetah GreetBots. Also, 58.com’s CEO Yao Jingbo, announced that his company will become the exclusive rental channel for Cheetah VendBot when it launches later in 2018. Cheetah also announced agreements with companies such as Microsoft, Qualcomm and Nvidia to jointly promote the development of the robotics industry. In that spirit, Orion OS is an open, developer-friendly platform. The robotics and smart device platform developed jointly by Cheetah Mobile and OrionStar includes a system on a chip (SoC), camera + vision algorithm, microphone array, text-to-speech (TTS) system, indoor mapping and navigation system, and a seven-axis robotic arm. The only bad news for developers in the US? All of the products unveiled at the 321 Conference will be available in the Chinese market first. But, it does seem like these products might help Cheetah become more well known in the US, especially as they pivot from a firm that focuses on utility apps. While not a household name in the US, Cheetah actually has hundreds of millions of global monthly active users thanks to mobile utilities such as Clean Master and Cheetah Keyboard. Another big consumer product of Cheetah’s is its live streaming product, Live.me. While it has been listed on the New York Stock Exchange since May 2014, its concerted focus into becoming more of an AI leader appears to be a shrewd long-term move. OrionStar is less than two years old, and was launched by a conglomerate of technology industry leaders and product specialists from Silicon Valley, Japan, Taiwan, Beijing and Shenzhen. The company’s mission is to create a better world through AI technology. In his presentation, Fu cited German philosopher Friedrich Nietzsche’s saying, “That which does not kill us, makes us stronger”. If it can execute against its plan, the company’s significant steps into AI and robotics have positioned Cheetah Mobile as a stronger company for the long-term.